What would you do if your business had to cut $20 billion in annual costs within the next 3 years to become profitable? It’d be a tall order to say the least, and unfortunately that’s the reality for the United States Postal Service. For years now, the USPS has been losing billions of dollars. During the first quarter of this year, the service lost $3.2 billion, and the reason being that their current infrastructure is too large and inefficient to support the significant decline in mail volume over the past few years. And now, they are forced to take drastic measures. There are a couple of big things responsible for the financial trouble that the Postal Service is in. The first is the Internet. We’re now in the “digital age,” and that means people are sending less mail. They’re paying bills online, using e-mail and sending e-cards, all of which has resulted in big declines in mail volume over the past 5 years. During the first quarter of this year alone, mail volume declined 4.6%. The other main reason that the USPS is “hemorrhaging money,” as Senator Tom Carper put it, is that they have substantial obligations relative to employee benefits. The Postal Service is mandated by law to pay for future retirees’ health benefits, an obligation that costs $5.5 billion per year. The USPS has said it won’t be able to make that payment when it comes due Sept. 30 of this year. Right now the U.S. Postal Service is losing $25 million a day. Let me say that again…..$25 million a day. Even if the USPS purchased the winning ticket for the largest Mega Millions jackpot in history, which was $656 million back in March, that’d only get them through a few weeks. While there have been debates over what can and should be done to save the Postal Service, there’s no debating that something had to be done. And to help get back on solid financial ground, the USPS is moving forward with its plan to consolidate its network of 461 mail processing locations. What does the USPS consolidation plan look like? The consolidation will take place in a two-phased approach. The first phase of the plan will occur in July and August of this year, at which time the USPS will close 48 of its locations. Following those closings, no more consolidation will take place for the remainder of 2012. Then, in January of next year, consolidations will resume and another 92 locations will be closed. By the end of February 2013, 140 mail processing locations will be closed. The second phase of the plan will commence a year later, in February 2014, and will include another 89 processing sites, taking the total number of closed locations to 229. When it’s all said and done, 28,000 employees will be cut, as will $2.1 billion in annual costs. 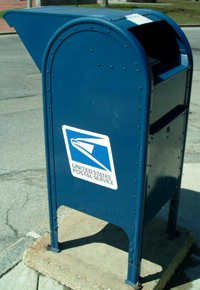 USPS officials say that this consolidation will largely involve transferring small processing operations to larger facilities. While there are mixed feelings about the consolidation among lawmakers, businesses and customers, there’s no denying that action had to be taken, and soon, in order to cut costs. Last fall, in addition to closing hundreds of mail processing facilities, the Postal Service proposed cutting Saturday delivery along with over 13,000 money-losing post offices. Due to strong backlash, those proposed moves have been scrapped for now, but this two-part consolidation plan certainly won’t be the only changes made to the USPS infrastructure in the long term. Top USPS officials have acknowledged the need to not only become more efficient, but also to adapt in this digital world, and part of which may involve a stronger focus on parcel delivery services to support a growing eCommerce and order fulfillment industry. While more job cutting is seemingly inevitable and certainly unfortunate, a more streamlined Postal Service may pave the way toward new jobs in other sectors, such as technology, to support leaner operations. The USPS supports a trillion-dollar mailing industry and over 8 million jobs, and I’m confident that it will once again thrive in the long run.